It was a fun-filled night when we were about to leave Cebu Yacht Club to go back to the bridge. 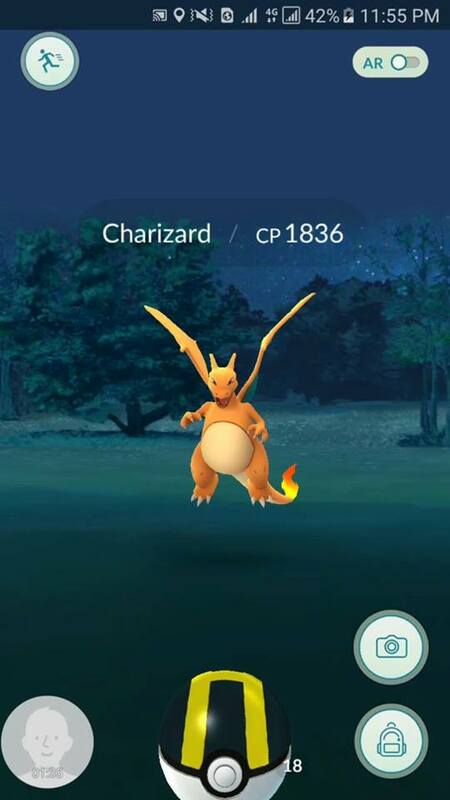 It was after catching Lapras ( link here : http://www.ekoysworld.com/2016/10/pokemon-catching-lapras.html) that we got a sight of Charizard in my friend's scanner. My friend shouted in excitement "Naay Charizard sa Mercado dapit" (there is a Charizard near the Public Market) so we rushed at him and checked where it exactly it is located. So after seeing the location and the remaining time, some of the guys said that we might not make it considering we will just use a jeepney going there. Out of the blue, I told them "taxi ta"( let's take a cab) and so they agreed. There were 5 of us and we decided to split the fare equally. Then goes the vacant taxi then we hop in. Since we are not sure about the name of the area, we just informed the taxi that we are going to the public market while looking for a better landmark to accurately inform him. After looking closer we told the driver that we are going to the Lapu-Lapu City Hospital luckily the driver knew the place. We told the driver to speed up as we were catching something, a friend is constantly reminding us of the remaining time. And the driver ask if we have a relative in the hospital we said promptly "Dli boss naa mi dakpon Pokemon" (No , boss we are going to a catch a Pokemon) then the driver understands and full speed away. When we were near the area, we saw the same pickup we encounter in Cebu Yacht Club and they suddenly cut us, then we knew that they were also after the Charizard. We then wait for the Charizard to spawn while listening to Win Radio (hahaha). Then it spawned and I started catching it, it cost me tons of ultra ball and I almost gave up on it but my friend was keeping the flame up and eventually catch it. It was also my first Charizard. Below was the actual footage. We met the people in the pickup and other familiar faces which are a regular trainer in the bridge. We exchange experiences on our catches and strategy in catching. Then suddenly, we ask the driver if where they are going next then they said were roaming around hunting then we said that if we could come with them so they agree and we jump in at the back of the pickup. Then there goes a night of hunting. Have you caught a Charizard? Share your experiences in the comment section below.